The majority of Americans are not prepared for retirement. A recent study by the National Institute on Retirement Security reported that 45 percent of U.S. households have no retirement assets. This means that many people will not be able to retire at all. On the other side of this, however, are working-age people who are not only ready to retire, they are prepared to do so before age 65. While this can feel like a pipe dream for some, if early retirement is your goal, it is possible with proper planning. If you are looking to retire early, contact Advanced Wealth Advisors in Naples today for retirement planning help. We can help you with a realistic investing and savings strategy to ensure you have as many options as possible when it comes to your retirement. 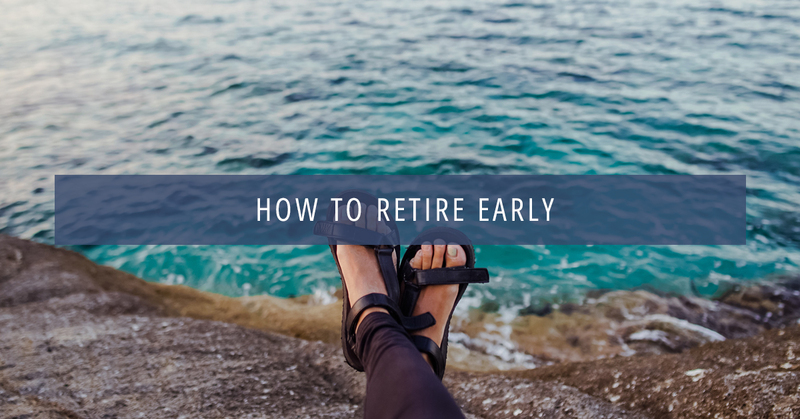 In the meantime, here are some essential steps to take if you want to make early retirement a possibility. If you’re going to get anywhere in life, you need to know where you want to go. This is especially true when it comes to your retirement goals. First, determine how much money you will need after you leave your job. A good estimate is between 70 and 80 percent of your current income. For example, if you currently make $100,000 a year, you need to plan for a retirement income of $70,000 to $80,000. To determine how much you need to save to make this happen, you will need to think about your safe withdrawal rate, which is how quickly you can take money out of your retirement accounts without completely emptying your resources. Compare this number to your ideal retirement income to determine how large your portfolio needs to be. Now that you know how much you need, you need to work out your timeline for accumulating that money. It can be overwhelming to think about saving a million dollars for retirement, but it becomes a lot more manageable when you break it down into monthly chunks. Calculate how much you will need to save per month or year to reach your retirement goal at your preferred age. This can help inform areas where you may need to adjust your budget, perhaps by adding another income or cutting your spending. It is one thing to know how much money you need to save, but it is just as important to know where to put it. It is generally advisable to max out your annual contributions to any tax-deferred retirement account like a 401k, 403b, or IRA. If you have a Health Savings Account, you may also want to contribute the full amount to that. When you come to Advanced Wealth Advisors, we can help you determine the best course of action for retirement savings based on your specific situation. With the right savings strategy you may be able to retire early. Ready for professional help with your retirement planning? We’ve got you covered! Contact Advanced Wealth Advisors in Naples for assistance today.